MIDDLETOWN, Pa. — The men burst into the church classroom and ordered the 15 teens in the youth group to the floor. They covered the teens’ heads with pillowcases and bound their hands. One man waved an unloaded gun, and another yelled, his face daubed with camouflage paint. The kids gathered at the Glad Tidings Assembly of God Church and had planned to partake in youth ministry activities at 7 p.m. Wednesday (March 21). Instead, they found themselves face down, hugging the linoleum floor, said the Rev. John Lanza, who described what happened. If they listened, they wouldn’t get hurt, their assailants said. It sounds terrifying, but there’s a catch: The raid was fake, staged to show the teens the perils faced by Christian missionaries in the world’s trouble spots, Lanza said. Yet it traumatized one 14-year-old girl so badly that her mother filed a report with the police, claiming her daughter suffered a busted lip and bruised knees. Neither the mother nor teen has been identified. Lanza did not wish to provide their names. Dauphin County District Attorney Edward M. Marsico Jr. said police are questioning those involved to determine if charges are warranted. No charges have been filed. The experience did provide a whiff of terror. After bursting in on the youth group without warning, the raiders prodded the hooded kids into a church van and drove across the parking lot to the pastor’s house. 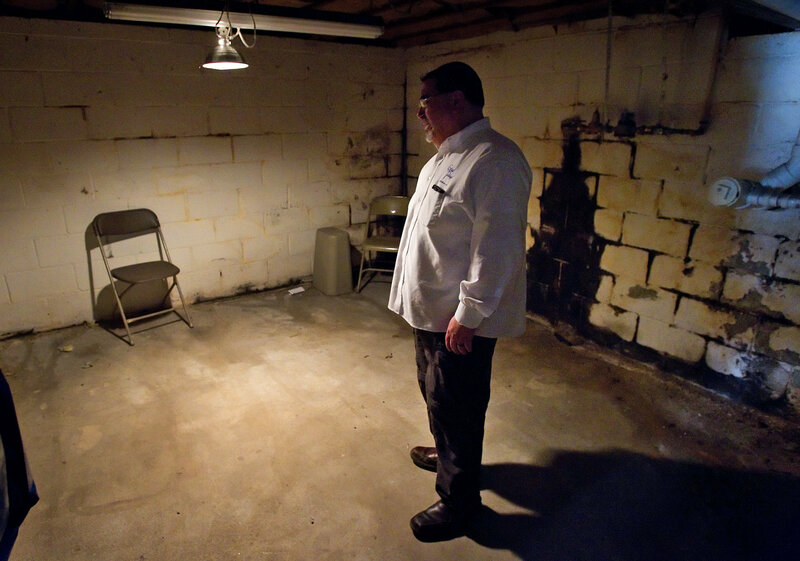 They led the teens through the garage, past the pastor’s motorcycle with crucifixes painted on its gas tank to an interrogation room in a dark corner of the musty basement. Dust and loose insulation covered the floor beneath a single-bulb painter’s light suspended from the ceiling. It illuminated a lone chair. The men questioned each teen for 30 seconds in the room, raising their voices to invoke fear, before releasing them, Lanza said. He said the teen who claims she was traumatized by the bogus raid was a relative newcomer to the youth group. She started attending meetings four weeks earlier at the request of a friend. Neither she nor the other teens in the group knew the raid was coming, Lanza said. He said church officials didn’t notify their parents, either. In retrospect, that was a mistake, he said. “Now we know what we have to do in the future,” Lanza said. He said he doesn’t plan to shy away from the practice, which he called a valuable learning tool. “This is to give students a sense of the constant threat brought against missionaries everywhere,” he said. The mock raid came on the heels of the terrorist slaying in Yemen of a Lancaster County man, Joel Shrum, who was killed by two gunmen on a motorcycle in the city of Taiz on March 18. Shrum was learning Arabic and teaching English, according to his family. A group linked to al-Qaida claimed responsibility for his murder, saying Shrum was proselytizing. Lanza said Shrum’s slaying is just one example of why it’s important for students to know the dangers of mission work. Wednesday’s incident wasn’t the first such raid staged at the Glad Tidings church. Dave Neubert, a church member, said the previous pastor held a similar exercise years ago, but no one reacted as badly as the traumatized teen from Wednesday’s raid. Lanza, who took over the church a year ago, said he’s organized mock raids elsewhere. Although the church is a member of the Assemblies of God denomination, the Glad Tidings church is a sovereign operation and functions under its own government, Lanza said. Lanza didn’t plan Wednesday’s raid, but said he has no intention of disciplining youth pastor Andrew Jordan who did plan the mock kidnapping. He said he knew the mock raid was in the works. Marsico said it is unclear what sort of charges could be filed if it is determined that someone at the church is criminally culpable. It is not illegal for a person to openly carry a gun, he said, adding carriers only need a license if they conceal the weapon.